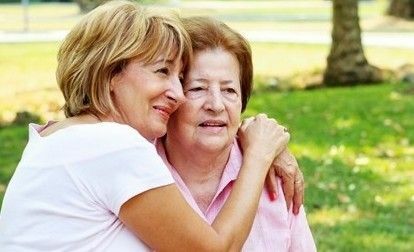 As a caregiver trying to take care of a parent suffering from Alzheimer’s, some of the most frustrating things you might run into are behavioral changes. Although many people know that this illness can affect memory and cognitive health, Alzheimer’s can also have a major impact on the way your loved one reacts to certain situations. Alzheimer’s attacks the brain cells during the later years in life, which can cause them to deteriorate. According to the Alzheimer’s Association, there are several other influences that can progress the breakdown of these cells, including certain medications, other illnesses and environmental factors. When this happens for the first time, these actions can be very disheartening to family members. The father who has always been kind and pleasant toward you all of the sudden becomes angry, irritable, agitated, anxious or depressed. Or in some severe cases, shows aggression, raises his voice or experiences delusions. When these situations occur, the first thing you need to realize is that you are not going to win an argument with your father. Because the illness has broken down his practical thought process, there is little to no hope of having a rational or reflective discussion, especially in the later stages of Alzheimer’s. And, becoming irritable or upset on your own will only make matters worse. The best thing you can do is find an inner calm and redirect these behaviors so that they don’t escalate. Keep in mind that it’s OK to feel a bit sad or frustrated when this happens, but know that you shouldn’t take any insults or aggressive behavior personally. As a caregiver, it is your responsibility to change the environment so that you can properly regulate the behavior to a reasonable state. It’s important to be intuitive to triggers that result in aggressive behavior. Anger and frustration can manifest itself in a variety of ways, including a need for privacy, just plain boredom, physical pain, tiredness or the struggle to find independence. The actions your father takes likely come from some kind of emotion that he is unable to verbally express, so you will have to seek out the patterns that result in these outbursts. If it helps, you can even keep a log of his behavior so that you can successfully narrow it down. The next time your loved one begins to show inappropriate behavior, try to diffuse the situation. For instance, your father might accuse you of taking personal items he misplaced, such as his keys or checkbook. Tell him that you will both look for them later and then change the topic to a pleasurable activity to handle the issue. When this happens, it’s important not to argue your point – simply change the conversation and suggest doing something that he always loved. If he enjoyed cooking, suggest that you make dinner together. If he always had a passion for the great outdoors, help him lace up his shoes and go for a walk or hike through the park. Alzheimer’s is a disease that can be very isolating for patients, so it’s likely that your dad might cling to you and grow irritable or angry if you leave him, even for a short period of time. If your father becomes very upset when you announce that you are leaving for a period of time, experts recommend setting a timer, telling him that you will be back before it sounds off and allow him to enjoy a task that keeps him occupied. One of the more dangerous behaviors that Alzheimer’s patients face, especially in the later stages of the disease, is the tendency to wander off. While the risk lessens if your dad lives in an assisted living community, there are things you need to look out for. Once he moves in to an assisted living community or a caregiver’s home, it may take him awhile to get used to his new living arrangements and he might try to find his way back home. Wandering may also be a sign that your dad needs exercise, so be sure to spend some time taking walks together, enjoying an afternoon bike ride or going for a swim at the local gym or community center. If the outbursts become so severe that he begins to experience hallucinations or extreme delusions, it’s important that see a health care professional. This can result in wandering into dangerous situations or possibly harming himself or others. Many caregivers feel guilty if they take time for themselves. Be aware that it’s difficult to take care of someone else if you’re not feeling patient or healthy yourself. Part of your job is to give yourself permission to take a breather and de-stress so that you can calmly deal with issues when they arise. Although these situations can be frustrating, you can evaluate them in a healthy way. Contact one of our professionals at the Aegis Living community near you to receive more information on how we can help.